It’s the first day of Autumn ya’ll, and I love Autumn. 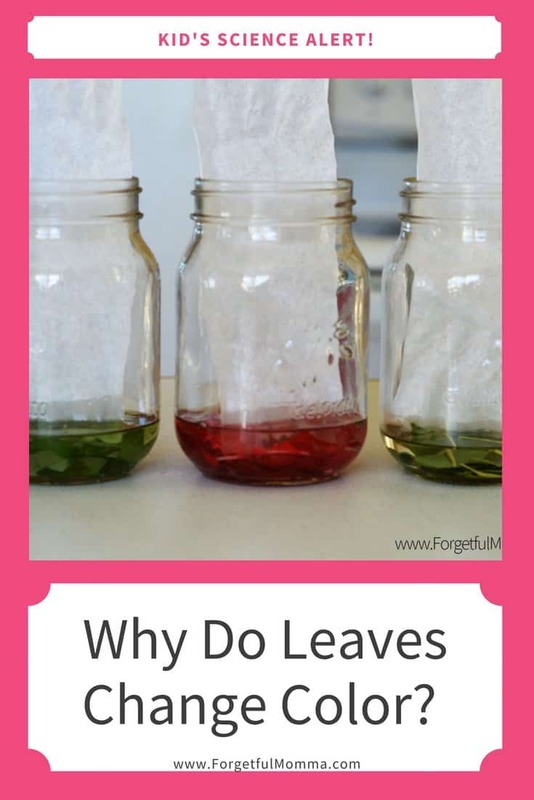 My girls ask every year why the leaves change color, and I finally found an experiment to show them the colors of leaves, the colors they change, instead of just just trying to explain it. This is fun and easy to do. I love getting hands on with science with my kids, they learn a lot more when they are involved. It’s really simple actually, just a few things from around your house and yard. 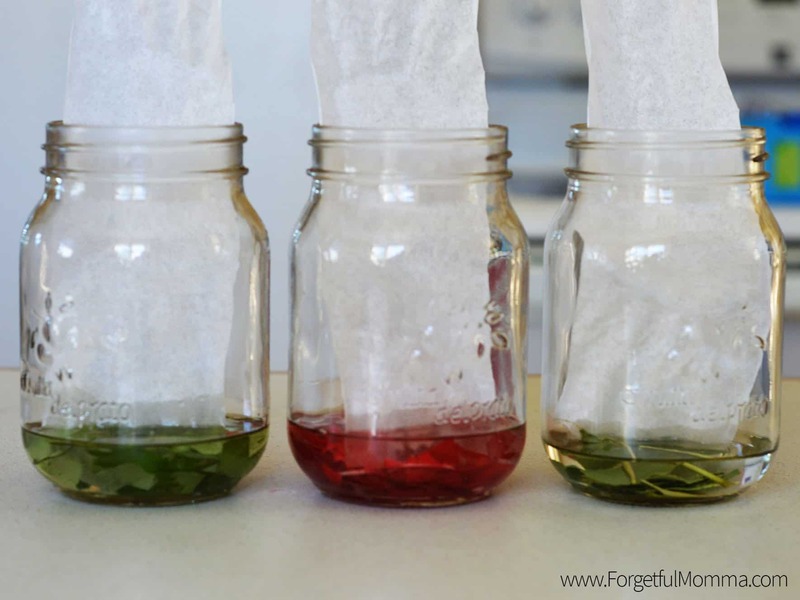 Rubbing alcohol, jars or glasses, some leaves from your yard, and some coffee filters. 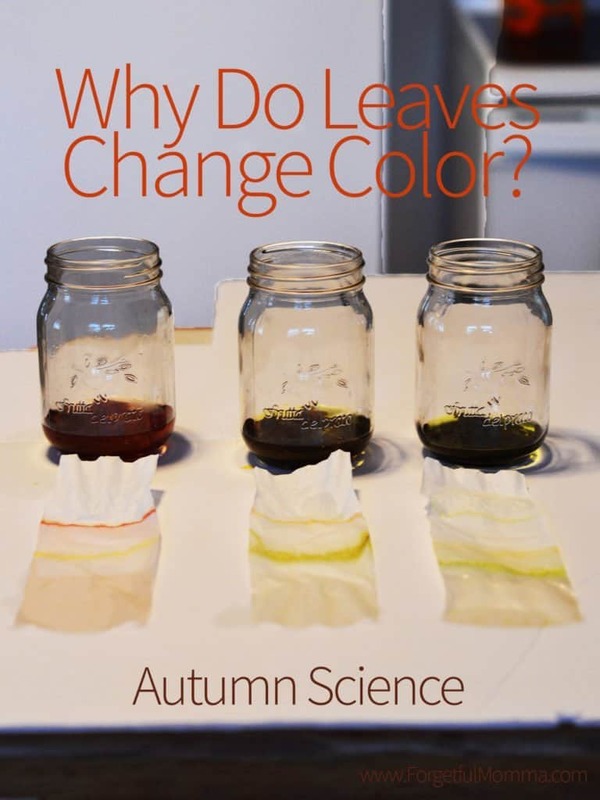 I started this by asking my kids the question that they ask me”why do leaves change color?” The answer I got, was that they change because it is autumn, a simple answer and it completely makes sense for kids. They change because the season changes. I grabbed 3 different leaves – 2 red leaves from the vine crawling up our shed, 2 green leaves from the vine crawling up our shed, and 2 green leave from a tree. 3 jars, one for each set of leaves I had. 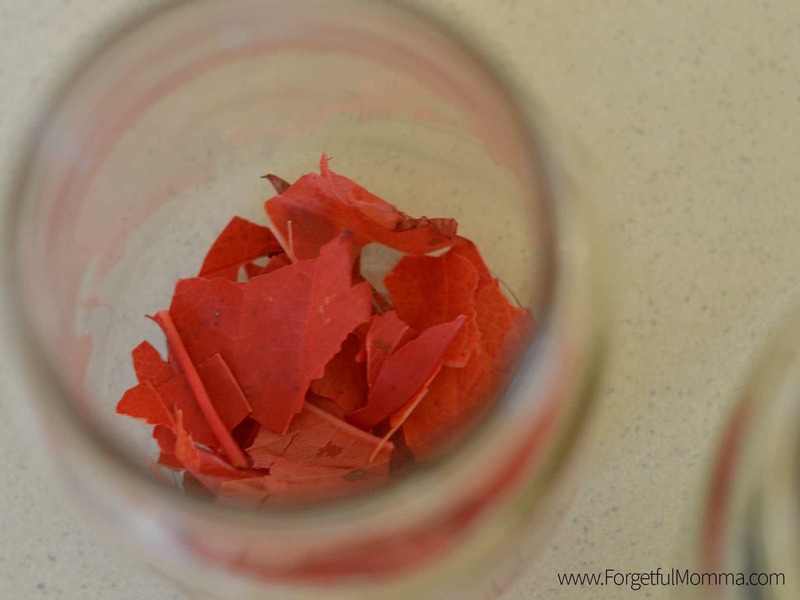 Tear the leaves up and put into each jar. 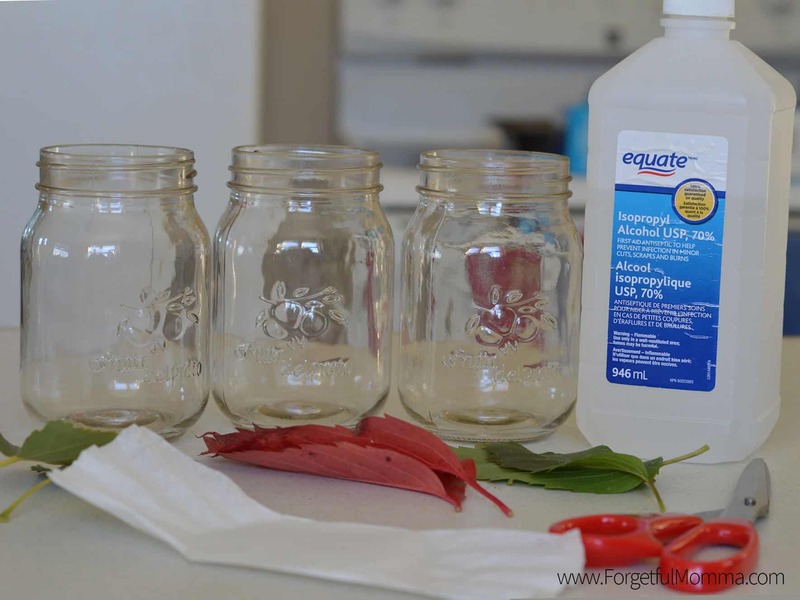 Pour just enough rubbing alcohol into each jar to cover the leaves. There are two (or many more) ways to do the next part. You can cut your coffee filters into strips, or roll it into a cone shape, either will work. Now you wait. It took 6-8 hours before we saw anything, and 24 hours before it was clear. I took this pictures after about 24 hours. Chlorophyll would be the answer. It is the dominate pigment in the leaves (green). It covers the other colors that are there in the leaves, the reds, and yellows. The leaves stay green the water that the tree takes in through its roots. Why does the green disappear? The trees realize that summer is coming to an end (due to less sunlight) and stop taking in so much water. Without the water, the green chlorophyll starts to disappear and the other colors in the leaf and the yellow and the orange can be seen. So leaves don’t really “change” color so much as lose color. You can clearly see the different colors on the filter. Do this with your kids. 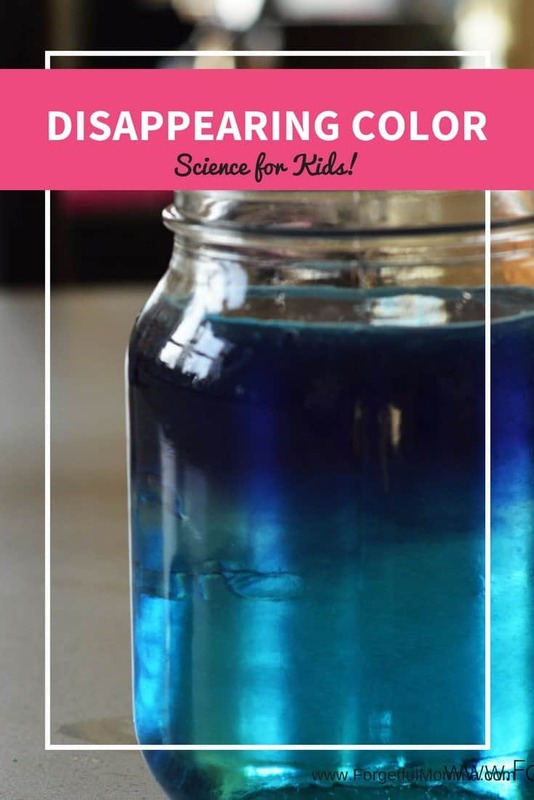 You only need some coffee filters and rubbing alcohol. You have kids, so you probably already have the rubbing alcohol and coffee filters. 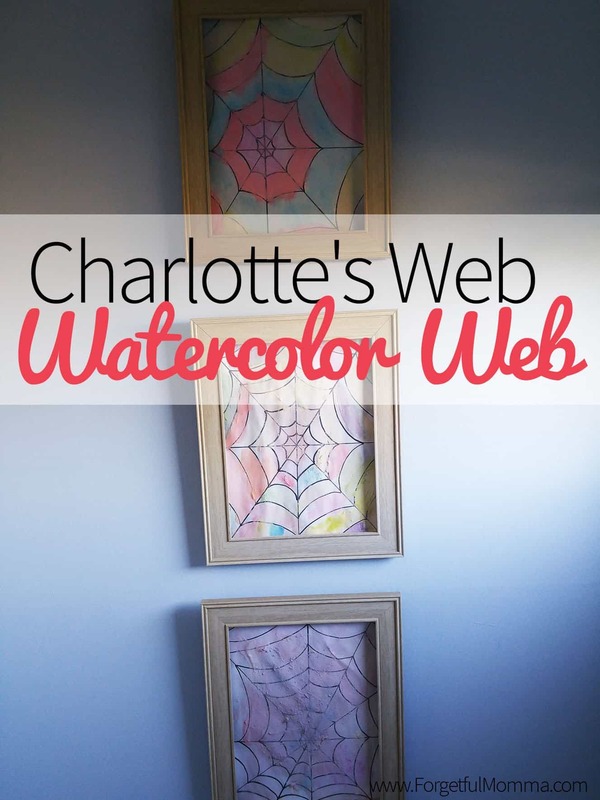 What a fun activity for the autumn! Kids are always fascinated to see the trees turn autumn colors, and for them to understand it through an experiment is fun.